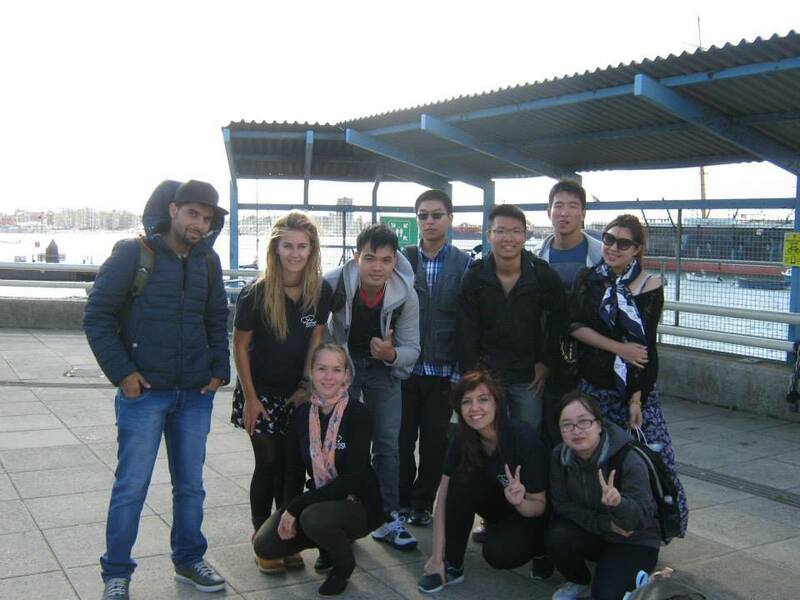 The Pre-sessional programme is back for another summer which means the Union will become a one-stop shop for some great FREE activities and events to welcome our Pre-sessional students. And the best part – you can get involved too! Get all the support you need to help you settle in with our free Advice Drop-In on Monday, make your halls a home with a herb garden from our gardening session and get to know your fellow students at our BBQ on Friday, plus much more! There’s nothing like an evening of live music to help you unwind after a hard day’s work. 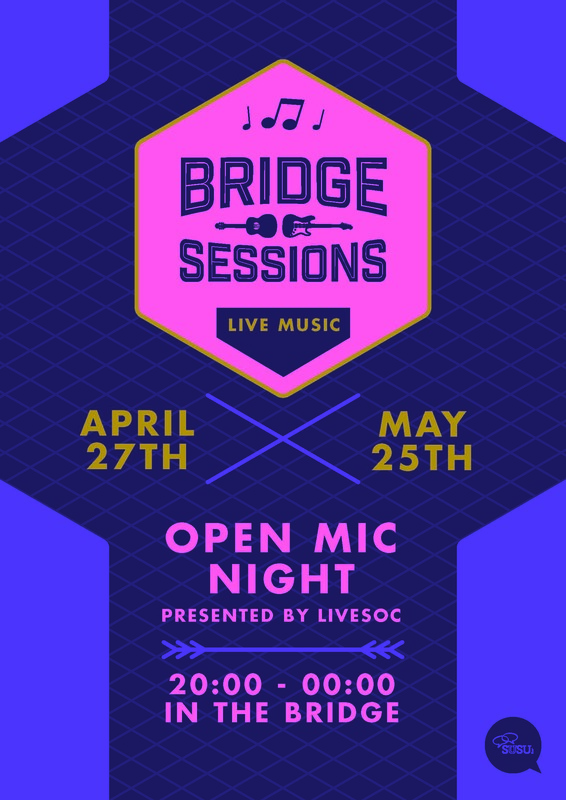 That’s why the Bridge Sessions are making a return this semester. 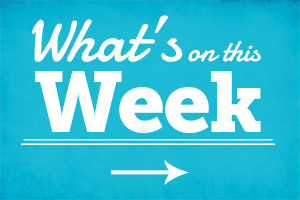 Save the dates for your diaries! 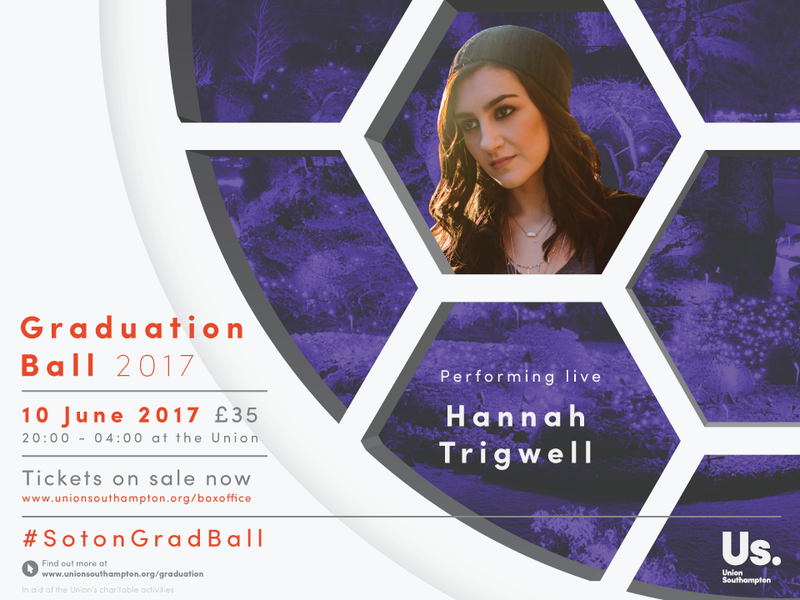 You’ll have seen the announcements on Facebook, and pencilled the date in your diary; there’s no doubt about it, Graduation Ball 2016 is on the way. Taking place on the 6th of June 2016, the fantastic event is always a night to remember. 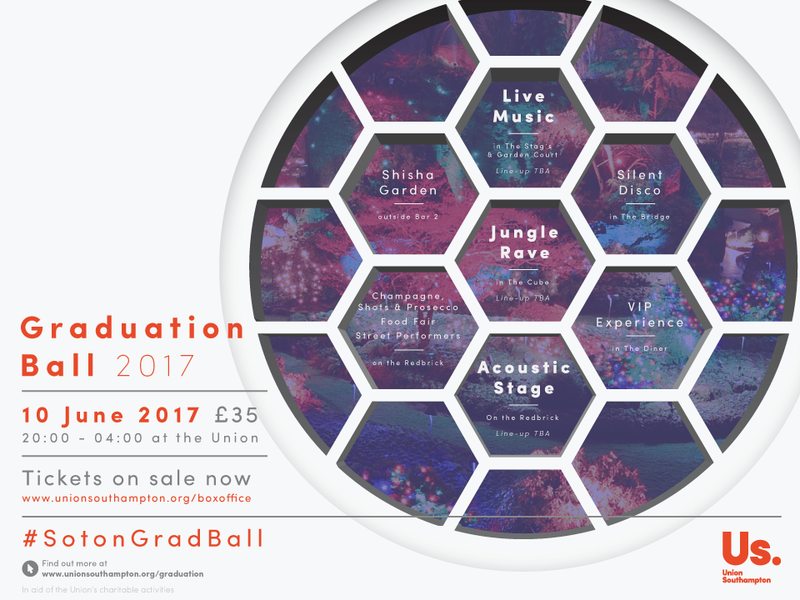 In anticipation of the first wave of information being released on Monday (18th of April), we take a look back at previous year’s graduation balls. POW! 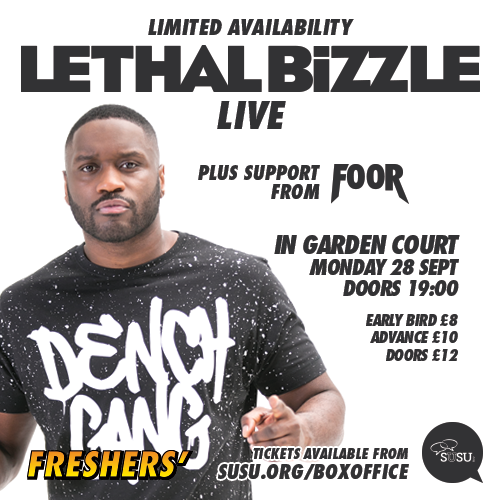 Lethal Bizzle live plus support from FooR – early bird already sold out! Mobo award-winning British rapper, LETHAL BIZZLE, is hitting up Soton Freshers’ with a live performance at Garden Court and The Stag’s. The POW singer is one of the most exciting and prolific rappers to emerge from the UK underground scene, and he will be performing his biggest hits to make this year’s Freshers’ one to remember. Plus, expect a live performance and support from FooR, a group of electronic producers, musicians and DJs from the South coast. 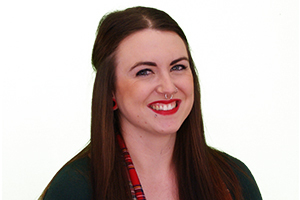 The 28 April will see the Coffee House Sessions return to SUSU, bringing another line up of top acts to entertain you with their hit daytime performances.